More than half of our built environment in Germany is created in the period after 1945, including the technical infrastructures. For the built heritage of the postwar era - the majority is in use - there is important need for renovation and modernization. To transfer the architecture and urban ensembles of this time into the present and make them fit for a sustainable future, is a task of considerable scope and with complex requirements. 60 years after the war destruction of the Second World War and after the origin of the so-called Second Modernism, it is time to evaluate beyond resentment and euphoria with the tasks that is currently arising in the practice of urban development. 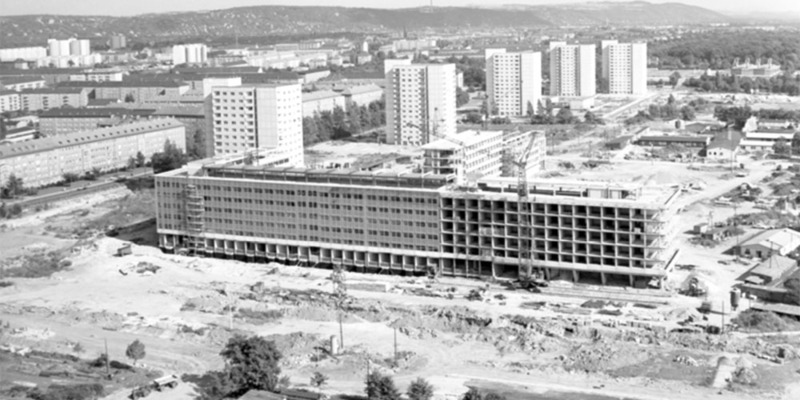 The following article shows three projects of urban planning in Dresden, the challenges and requirements, but also what opportunities may be offered by responsible transformation of districts from Post-war modernism era. ENGEL, Barbara. Post-war Modernism in Dresden – Perspectives of Urban Development. project baikal, Russian Federation, n. 39-40, p. 82-89, jan. 2014. ISSN 2309-3072. Available at: <http://www.projectbaikal.com/index.php/pb/article/view/706>. Date accessed: 18 apr. 2019. doi: https://doi.org/10.7480/projectbaikal.39-40.706.